The decision came from the Justice Department's Board of Immigration Appeals and comes after a judge had previously ruled that the government could not deport the Christians while they seek to have their cases reheard. 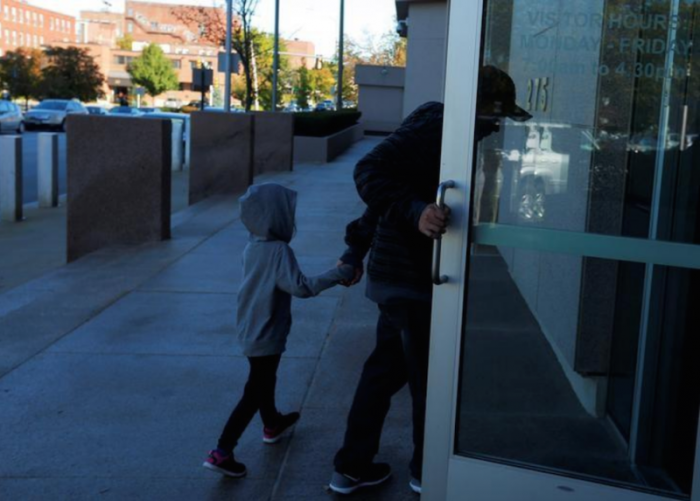 "The kind of abrupt nature in which the government sought to deport these people really was an issue," attorney Nathan Warecki told NHNPR. "We're happy that the Department of Justice agrees and is reopening their cases." The ethnic Chinese Christians in the case have lived illegally in New Hampshire for decades after they fled persecution and violence in Indonesia, the world's largest Muslim country which ranks as the 38th-worst country in the world when it comes to Christian persecution. "I'm very relieved for New Hampshire's Indonesian community. This is the right decision," U.S. Sen Jeanne Shaheen, D-N.H., said in a statement Thursday. "I hope further progress can be made to grant permanent asylum to these families and will do all that I can to provide assistance towards this goal." Sandra Pontoh, pastor of the Madbury Maranatha Indonesian United Church of Christ who has been an outspoken advocate for the group, also praised the Justice Department's decision. "I told them, 'this is good news, congratulations to everyone, but you know, you cannot stop working hard,'" Pontoh said, referring to the fact that the group of asylum seekers still need to do their part to ensure that their applications are accepted. According to SeacostOnline.com, an order from the Board of Immigration Appeals shows that at least one of the Christians in the group appealed the previous dismissal of his case on grounds of "changed country conditions for Christians in Indonesia." William Hahn, an attorney who represents 10 of the Indonesians who faced with deportation, told SeacostOnline.com that one of his clients argued that his application should be reevaluated "on the basis of escalating violence and intolerance directed toward Indonesian Christians." His client fears radical Muslim groups will persecute him if he's sent back to Indonesia. In her statement, Shaheen warned that deporting these Christian immigrants back home where they could be persecuted is "not consistent with American values." "These individuals learned our language, found employment and became contributing members of our community and shouldn't have to live under constant threat of removal to a hostile land," she said. Shaheen has been vocal in her advocacy for the Indonesian Christians and has questioned Department of Homeland Security Secretary Kirstjen Nielsen on the issue.